West Side Elementary School will welcome home the second cohort of Chinese Immersion Program fifth graders as they return from China after an 11-day cultural experience. A group of 44 made the trip this year consisting of students, family members, and ACPS staff. They traveled to the cities of Beijing, Chengdu, Xi'An, and Shanghai as part of their tour and had the opportunity to visit the Great Wall and the Giant Panda Research Base. The group also learned about the food and culture of China through dumpling making lessons, museum tours, and Tai Chi lessons. 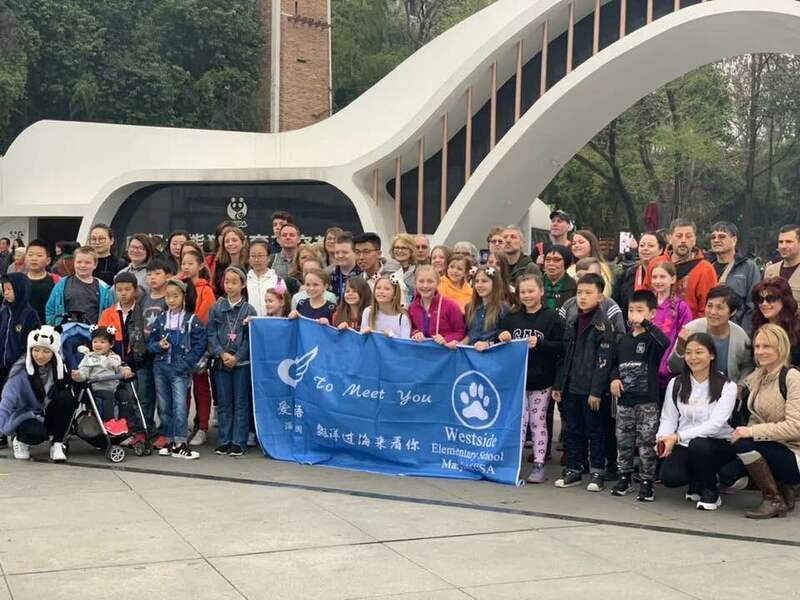 They were also able to reconnect with former West Side teachers and their current students in China, building lifelong global friendships. Families begin their fundraising efforts for this optional trip as early as kindergarten when students enter into the Immersion program. The parents and staff of Westside should be very proud of these fine young people.